The 2012 Honda Civic Tour kicks off mid-August and this year's co-headlining bands are no strangers to touring and monster albums. Linkin Park formed in 1996 and has sold more than 50 million albums worldwide while Incubus brings 20 years of experience and seven studio albums under their belt. 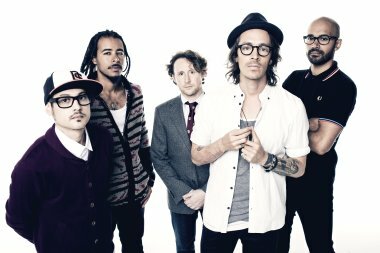 Brandon Boyd, the inventive front man of Incubus, shared his thoughts about what fans could expect from two big named bands. "I personally think it's an occasion that's kind of long overdue. We have a lot of mutual listeners, our bands, and I think that it's one of those things that once the idea was floated, and we really kind of caught onto it, that it seemed like, 'Why haven't we done this yet?'" The festival, which kicks off on August 11th but doesn't see both bands together until August 14th in Boston, MA, will go into mid-September, culminating in San Diego, CA. Boyd added, "Linkin Park has a considerably larger reach than Incubus has had, and I think it's going to be wonderful for us as a band to play in front of more people. [laughs] So we definitely appreciate the opportunity there. But I personally think that it's just going to be great because of the carryover between the listeners; you know there are a lot of Linkin Park listeners who are also Incubus listeners and vice versa. But we've never done something like this before. So as far as the feedback is concerned from people around the world - Incubus has been on tour for the past year - once this tour was announced it's been overwhelmingly positive and enthusiastic. So I'm really excited for it to get started." Read the rest of this story at Yahoo! Voices: The 2012 Honda Civic Tour Features Linkin Park and Incubus.